The US Singer Sewing machine company was a major innovator, not in terms of how it built sewing machines, but in how it sold them. During the late nineteenth century, Singer developed an advertising campaign that was globally recognizable but locally targeted. Its advertisements featured the company's trademark "S," filled with the words "Singer sewing machine" plus a figure – usually a woman – in some form of traditional local dress. The Russian version of this exemplified the lengths the campaign went to in order to market locally. The Latin letter "S" was replaced by the Cyrillic "3," equivalent to an English Z (this indicates how the word was pronounced in Russian). In the early 1900s, this was accompanied by the emblematic 3-Girl, a “full-bodied beauty” dressed in a very ornamental but somewhat kitsch outfit, reminiscent of traditional Russian clothing. 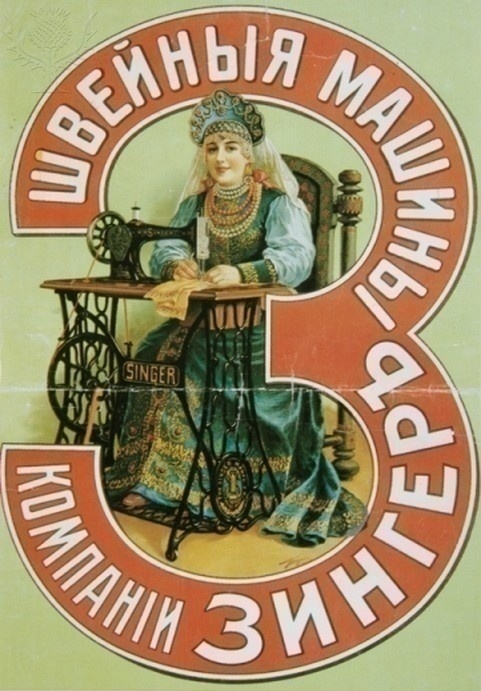 In Russian ads, sewing machines were sometimes presented as attractive furniture, not just utilitarian machines designed to speed up domestic work. Certainly, sewing machines were tools that allowed women to become active in the economy. This aspect was also reflected in the advertising campaign. The full figure of a 3-Girl represented a successful woman who was confident about her coming prosperity. Her "traditional" costume, in turn, suggested that if an old-fashioned Russian woman could use such a machine, so could young, daring, and ambitious women. Matich, Olga. Petersburg/Petersburg: Novel and City, 1900-1921. Madison: University of Wisconsin Press, 2010. Schultze, Sydney. 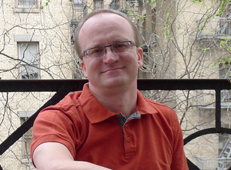 Culture and Customs of Russia. Westport: Greenwood Press, 2000. Jones, Geoffrey. Multinationals and Global Capitalism: From the Nineteenth to the Twenty-First Century. Oxford: Oxford University Press, 2005. Sewing machines are powerful things. As they spread around the world in the nineteenth and twentieth centuries, they allowed women - and men - to produce clothes rapidly, often copying the high fashions of the upper classes. The American company Singer made perhaps the largest impact, not through any technological innovation, but through local sales and marketing campaigns. Users across Europe began to use Singer sewing machines to make a living, in a number of ways.